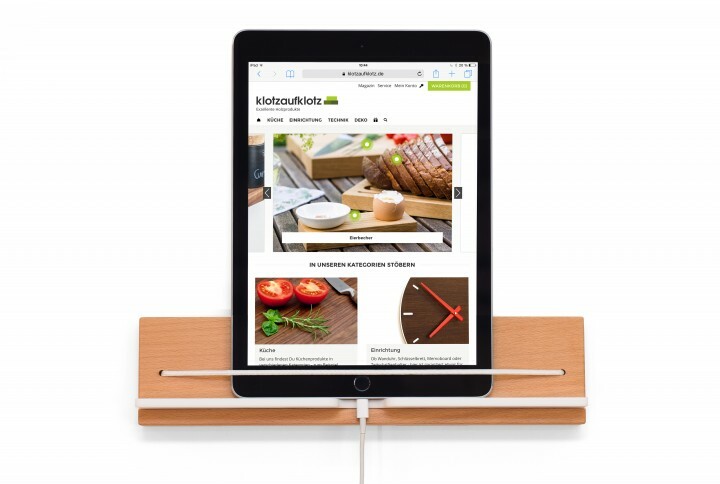 An outstanding accessory for your tablet: the wall mounted tablet holder made from solid beech wood. Have your tablet right where you need it without taking up space on your desk. 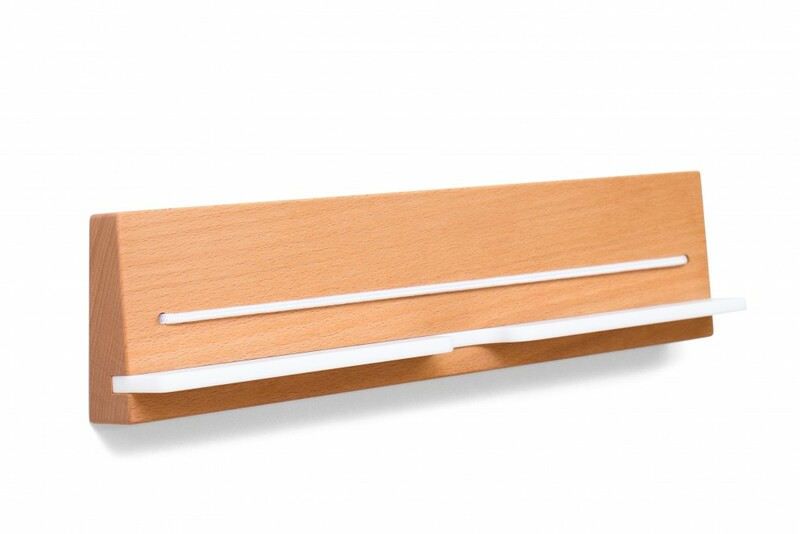 The elastic string secures your tablet in an upright position. 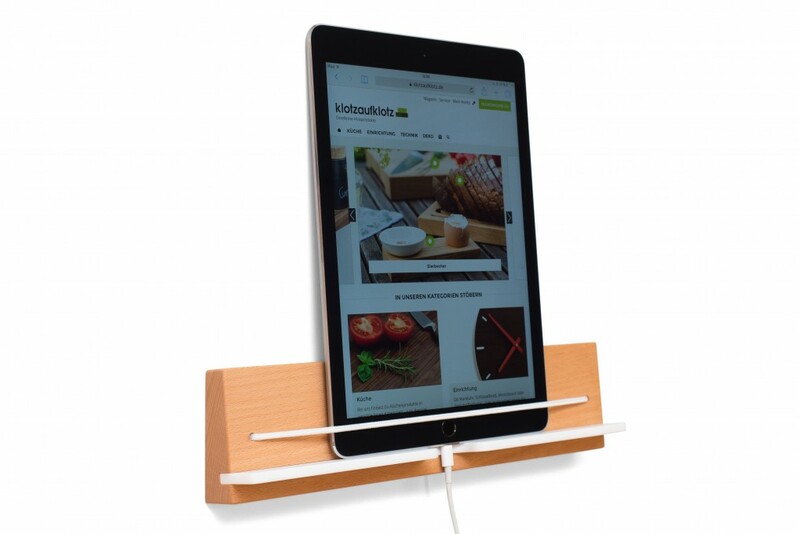 This modern hand-crafted tablet holder is hung on the wall and guarantees a safe place for your tablet; the holder secures your tablet with an elastic band and places it on an acrylic, solid surface material slab. It is available in two lengths. The smaller version is suitable for tablets up to 24.5 cm, whereas the longer version accomodates tablets up to 32.5 cm. 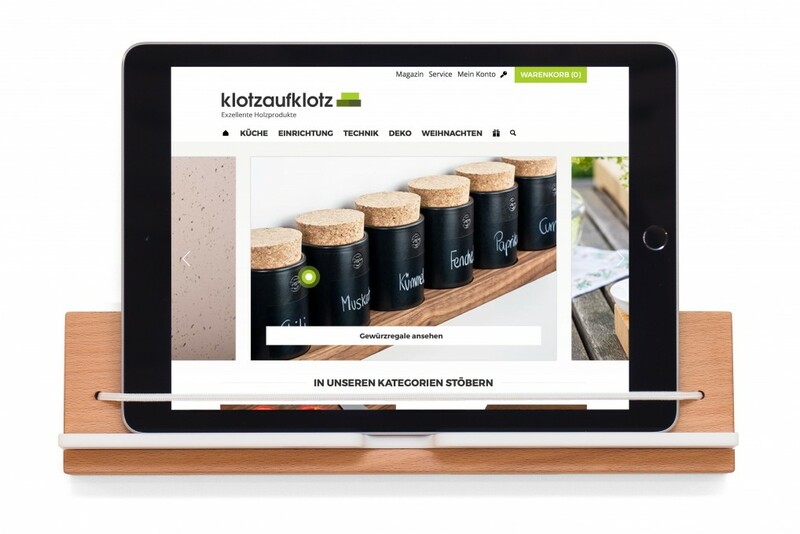 This high-quality tablet holder can be used for various presentation purposes. Provide information stylishly at a trade fair or in a company's foyer. 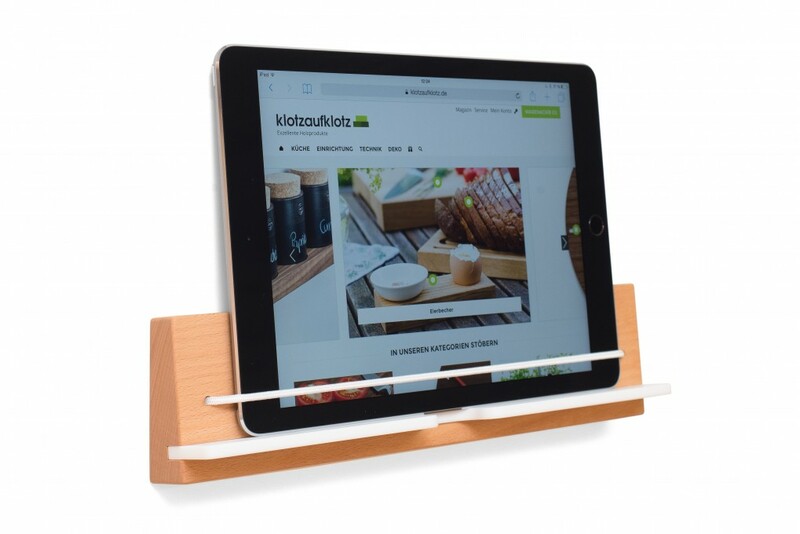 With its simple and slick design, the tablet stand will look stunning wherever you choose to place it.